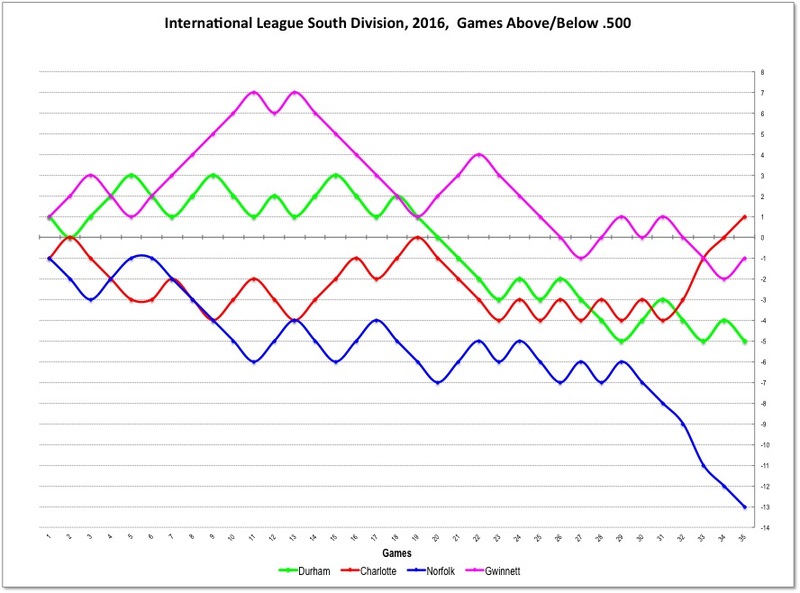 A couple of days ago we pointed out that the Bulls had been shut out 4 of their last 8 games. Now it’s 5 of the last 10. During the entire 7 game home stand the Bulls only scored 19 runs, which sounds OK until you realize that 13 of those runs were scored in two games. True, the Bulls opponents only scored 24 runs, so the Bulls were mostly competitive. Of course, this sort of season is much tougher on the players than the fans, but it is hard to watch. Even the Herald-Sun sounds discouraged at the link above. Charlie Montoyo is coming back to the DBAP on May 19 for his recognition as new member of the International League Hall of fame. 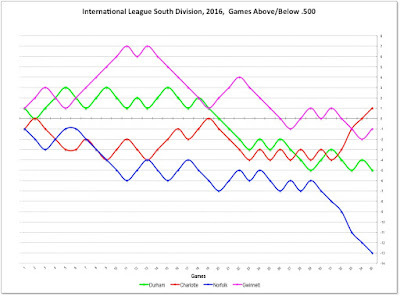 Charlotte, the Bulls next opponent, has moved into first place in the IL South Division. Norfolk has had a 7-game losing streak, while Charlotte is on a 5 game winning streak. Standings.